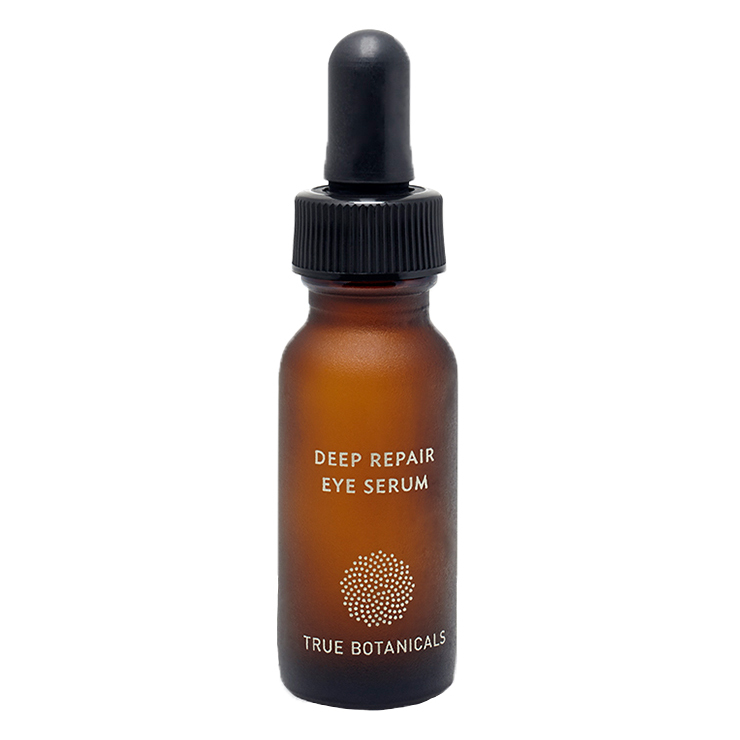 Delicate skin feels soft, smooth, and protected with True Botanicals Deep Repair Eye Serum. Made with green tea, evening primrose, and carrot seed oils to decrease the look of puffiness and inflammation, and bolster the look of firm skin around the eyes. This moisturizing eye serum also contains rosehip oil to make skin feel nourished, while reducing the appearance of lines and wrinkles and making skin look brighter. Blackberry seed oil diminishes signs of loose skin and sagginess. Tuberose stem cells are used for a firming and revitalizing sensation, and carries a delightful scent. Gently pat serum onto area around the eyes. May be used as part of a regular day and night time skincare routine. Camellia Oleifera (Green Tea) Seed Oil*, Oenotherus Biennis (Evening Primrose) Seed Oil*, Persea Gratissima (Avocado) Oil*, Daucus Carota Sativa(Carrot) Seed Oil**, Rosa Rubignosa (Rosehip) Seed Oil*, Rubus Fruticosus (Blackberry) Seed Oil, Caprylic/Capric Triglyceride (From Coconut), Tocopherol (Non-GMO Vitamin E), Simmondsia Chinensis (Jojoba) Seed Oil, Polianthes Tuberosa Callus (Tuberose) Extract. I'm so happy you added this brand to your store. I bought this product directly from TB and it is the only eye serum that doesn't irritate my sensitive skin. The scent is very subtile, light and lovely. I just need one drop for both eyes so a little bit goes a long way. I LOVE LOVE this product.